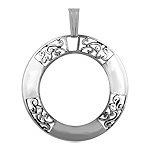 Highlight your individuality with beautiful and chic sterling silver pendant. 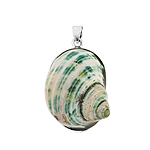 Many styles to select from – many ways to find a great companion for your existing collection of sterling silver jewelry or to start a new one. 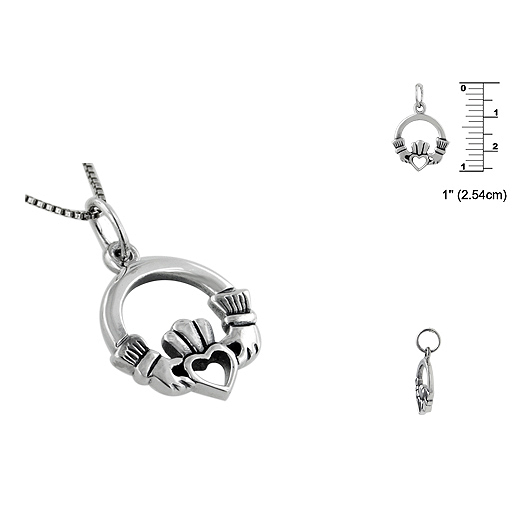 This claddagh pendant is beautifully crafted in 925 high polish sterling silver with oxidized accents. 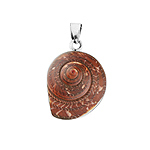 The pendant measures approximately 1 inch (25 millimeters) in height (including bail) and 5/8 inches (16 millimeters) in width. 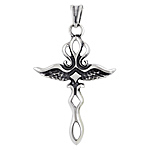 The pendant is finished with a jump ring bail. 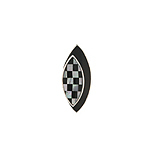 The bail opening is about 1/8 inch (3-4 millimeters) wide for a nice fit on a 1-1.5 mm chain (not included). 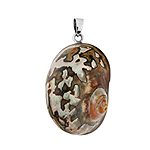 The high polish finish gives this pendant an exquisite shine that is sure to catch every eye. 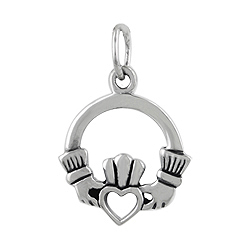 We work very hard to make sure our sterling silver pendant collection always has something special for you to emphasize your charm and your style!